Enjoy Burns Night and celebrate the launch of the new season of Sculpture at The Piece Hall on Friday 25 January 2019, 5:00pm-8:00pm. Experience ‘The Blanket’ by artist David Murphy in the Courtyard. There will be live music, food, drink, fire, and children’s activities – a free fun event for all the family. Following that on Saturday 26 January, 10:30am-3:00pm have some family fun with the Willow Sculpture Family Workshop. 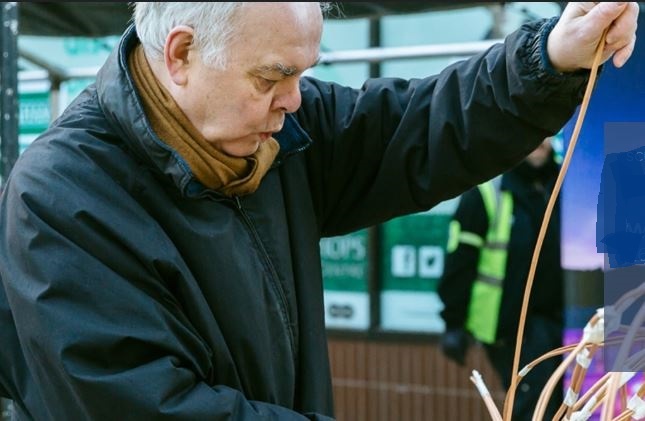 Join artist Frank Darnley in The Piece Hall Courtyard to celebrate his fantastic sculpture by contributing to a huge willow sheep artwork which will be created throughout the day. Make your own foil version to take away.